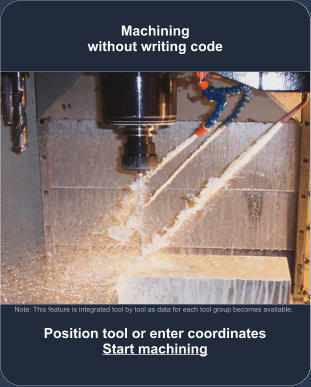 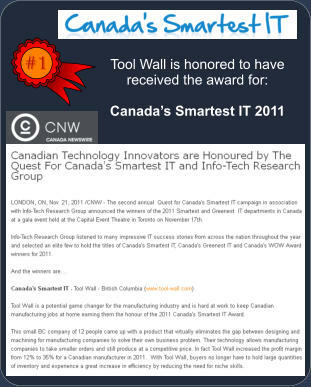 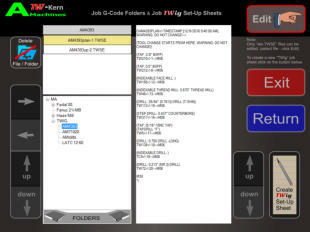 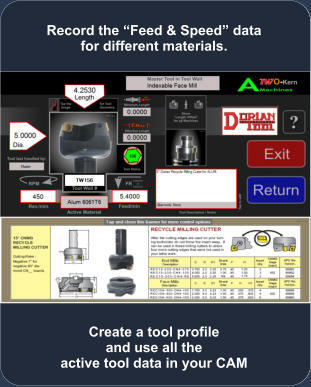 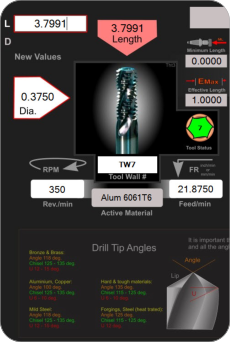 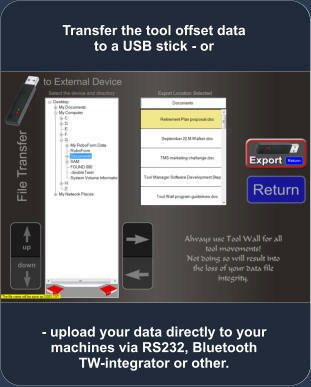 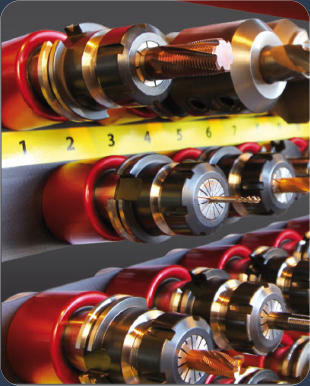 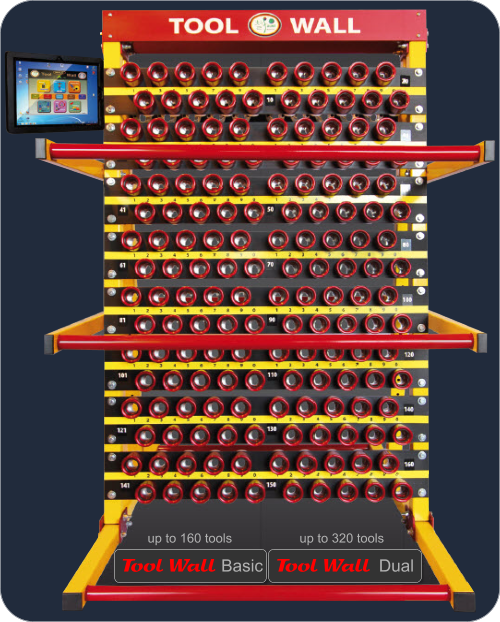 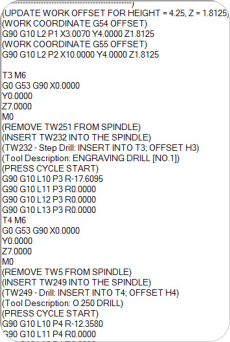 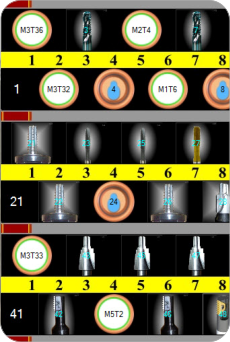 Transfer your existing Set-Up-Sheet into the digital format of Tool Wall. 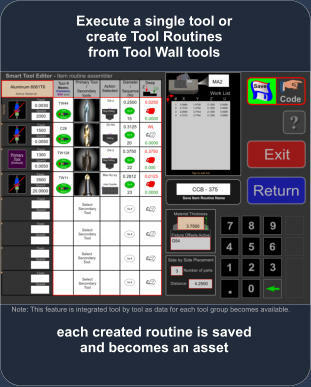 Now your set-up is automated, offsets uploaded, tool deployment checked for tool life and the set-up time reduced to a few minutes. 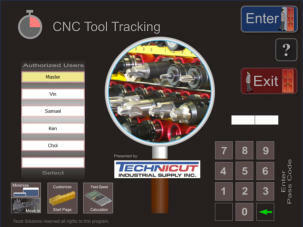 Start with Tool Tracking and download the software. The first panel is free. 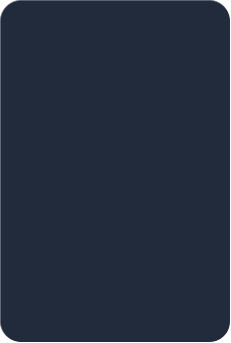 Add more later if needed. 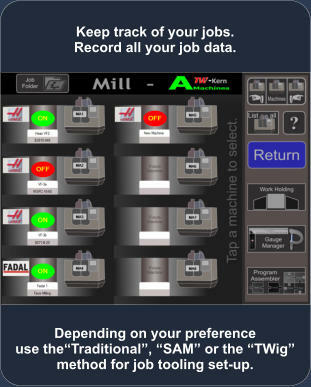 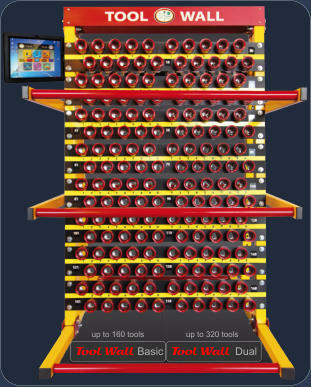 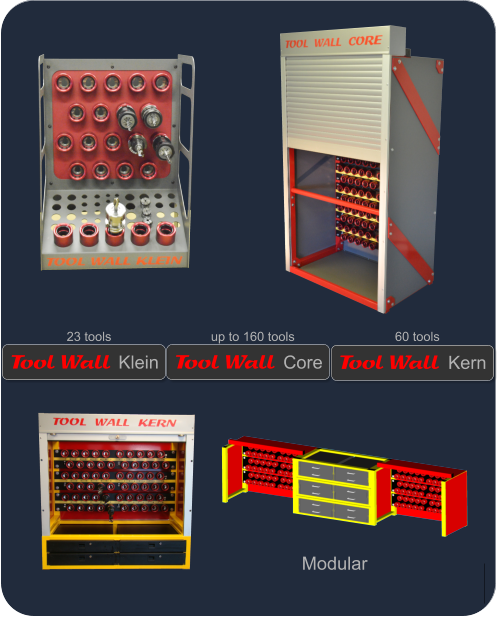 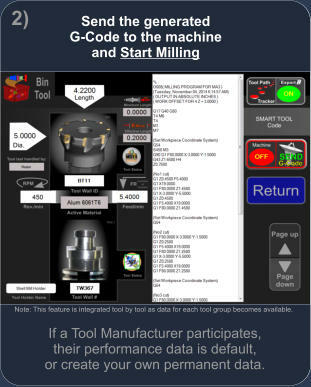 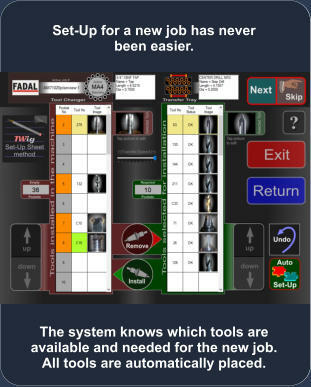 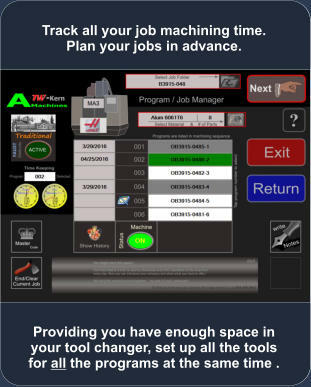 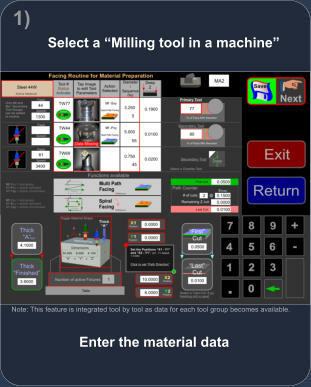 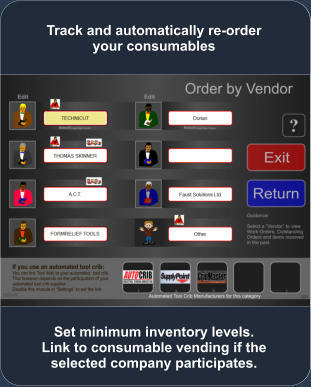 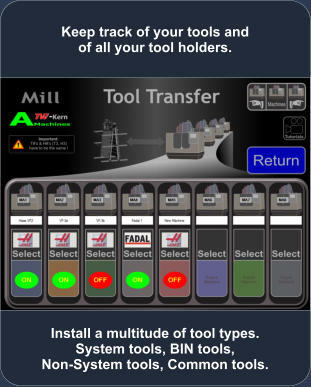 A Tool Room Manager option that tracks tools in transit. 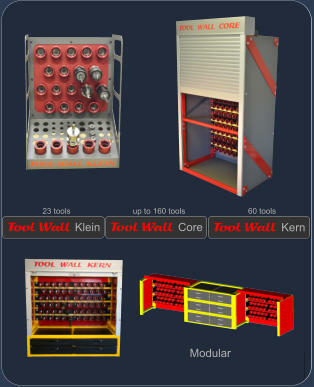 Tools that have been taken out of a machine but were not returned to the Tool Wall. 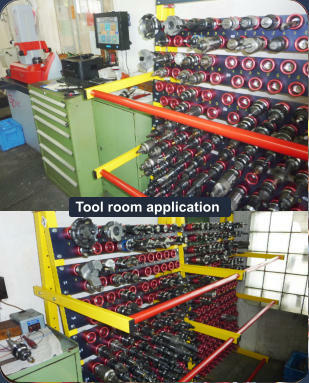 Tools taken out of a machine does not insure they have been brought back to the tool room. 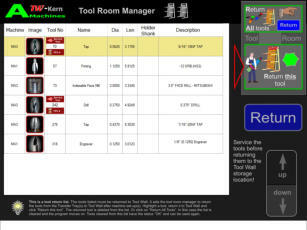 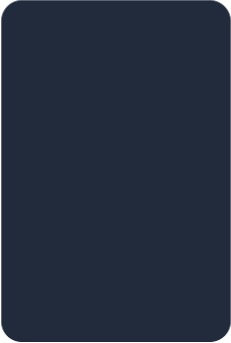 This new feature lets the tool room manager know where the not returned tool was last or if the tool is still serviced and has not been returned to Tool Wall. 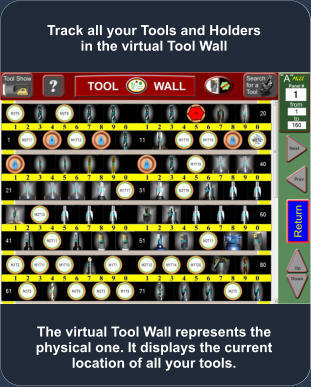 This tool should be checked for service before returning it to Tool Wall. 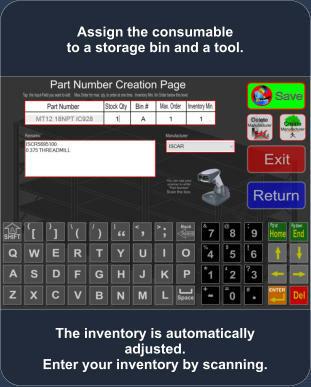 A version that requires only a minimum of data input to get you off and running. 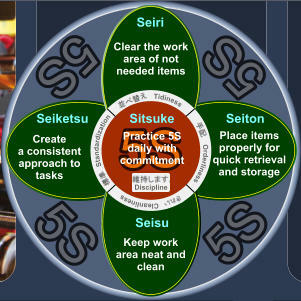 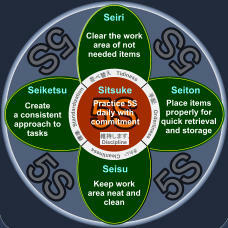 5S brings vast Productivity, Organisational, Neatness, Standardisation and Safety improvements when implemented.